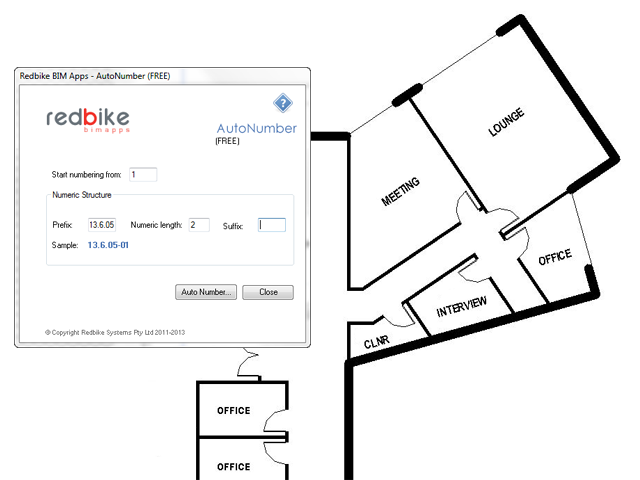 Redbike BIMApps AutoNumber is a great time-saver in managing room numbering on the fly. With a pre-defined structure including prefix and suffix, you can apply an incremental number to each selected room element. Start number= 1, Prefix = "L1", Suffix="", Numeric Length=3 then the first selected room element will be numbered as L1-001, second will be "L1-002", third will be "L1-003", and so on. The free RDBK_AutoNumber FREE add-in may be downloaded from the Autodesk Exchange Apps website.